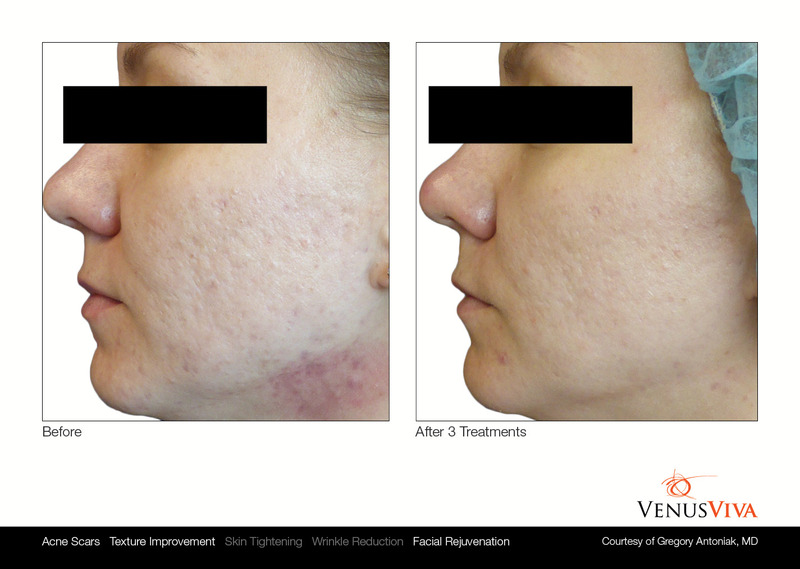 Venus Viva™ is a revolutionary, fully customizable solution for facial resurfacing that combines Nano-Fractional Radio Frequency™ (RF) and one-of-a-kind Smart-Scan™ technology to penetrate deep (up to 500 microns), covering a greater area and treating multiple concerns in the same session. 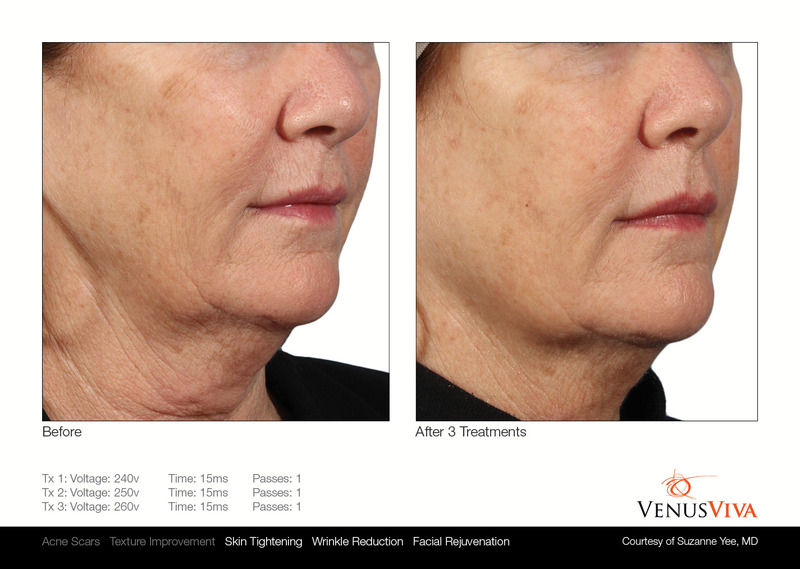 Venus Viva™ is the only non-invasive RF system that allows us to customize the intensity of the treatment to your needs and your personal preferences. 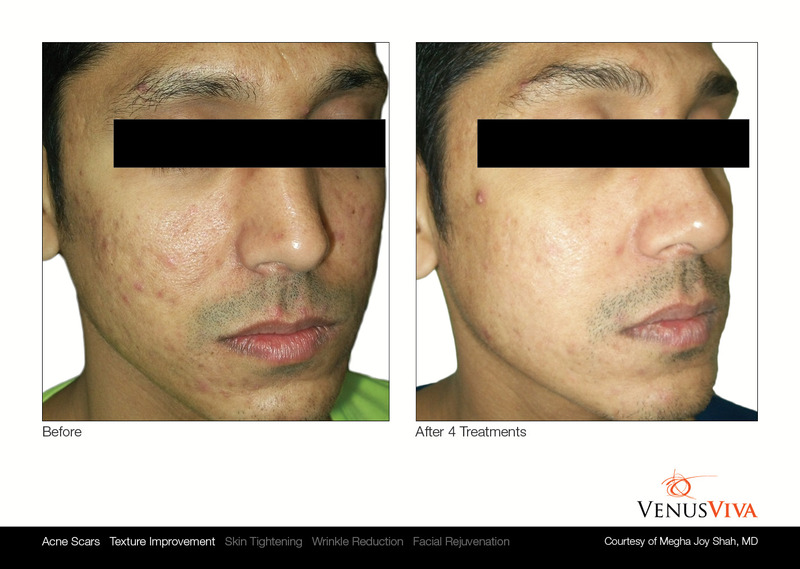 Venus Viva™ Treatments are Safe, Quick & Effective and applicable for ALL SKIN TYPES. 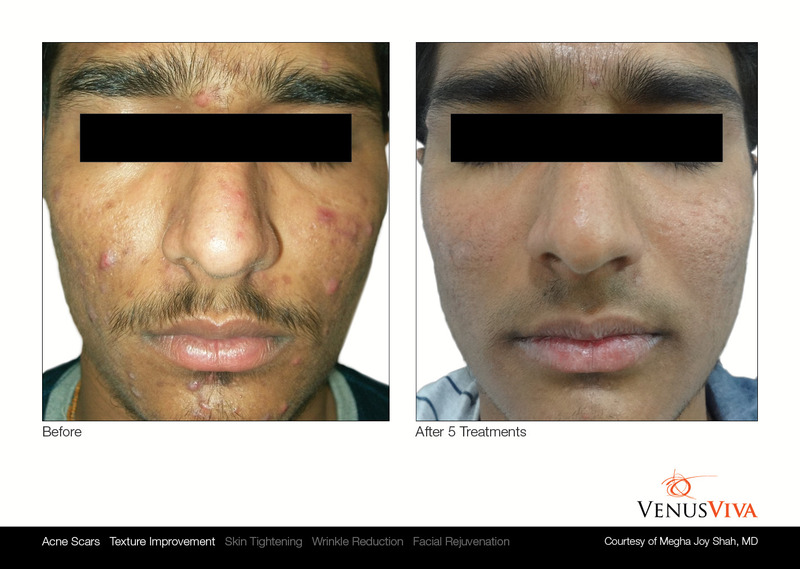 This wound healing response creates a smoother appearance to the skin, reduces pore size, plumps up fine lines and wrinkles as well as treating acne scars, and reduces pigmented lesions and textural irregularities of the skin. How will I feel, how will I look? During the procedure, discomfort is minimized by prior application of topical anesthetic cream. Post-procedure skin will look pink-red and possibly a bit puffy. As early as next day, makeup can be applied and normal activities resumed. Exercise should be avoided for 3-5 days and sun exposure for at least 2 weeks. Recovery time is 2-5 days of redness with occasional puffiness. A minimum of 3-5 sessions are recommended for visible results. Most patients see a result in as little as three treatments, however, we advise a full series of 6 treatments for the face and 8 to 10 treatments on the body to obtain optimal results. Ready to Schedule your Venus Viva Treatment?